1. The Gov't Ctr. station is out to bid, finally. I went to some design meetings 6-7 years ago! The bids are due in Sept. Given the usual delays, I'd expect construction to begin about a year from now. They probably don't want major construction going on at State and GC at the same time. 2. 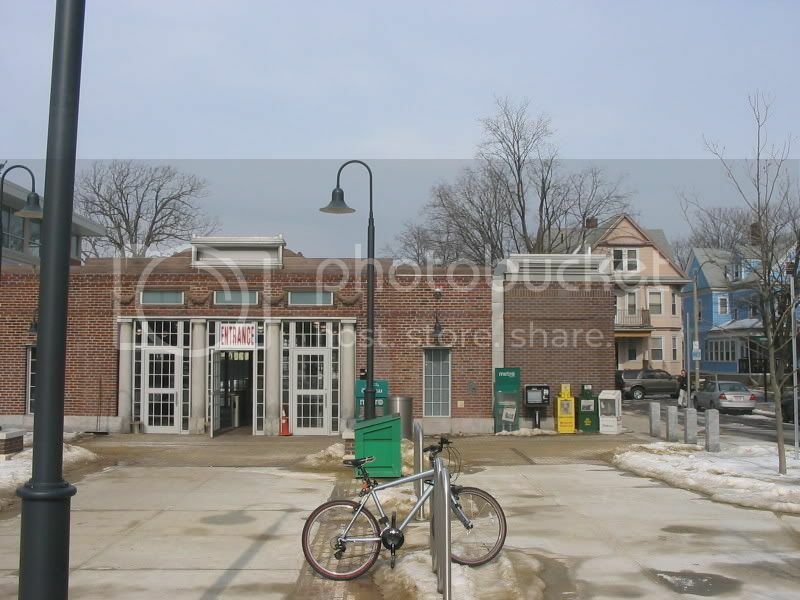 The T is soliciting design services for Science Park station ADA upgrade. It's still in the early stages, judging on vagueness of the engineers' brief. 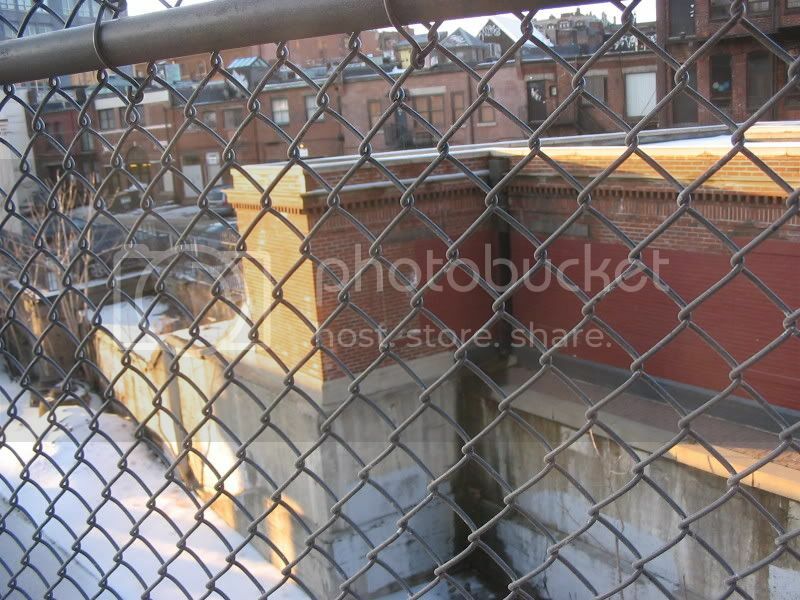 The project is listed as 'fedreally funded', and I believe they're also milking the Charles River Park developers. 5 years from now, almost all downtown stations will have been refurbished. Not bad. Hopefully it won't take as long as the Kenmore Square Station. Seems like its been under construction forever. 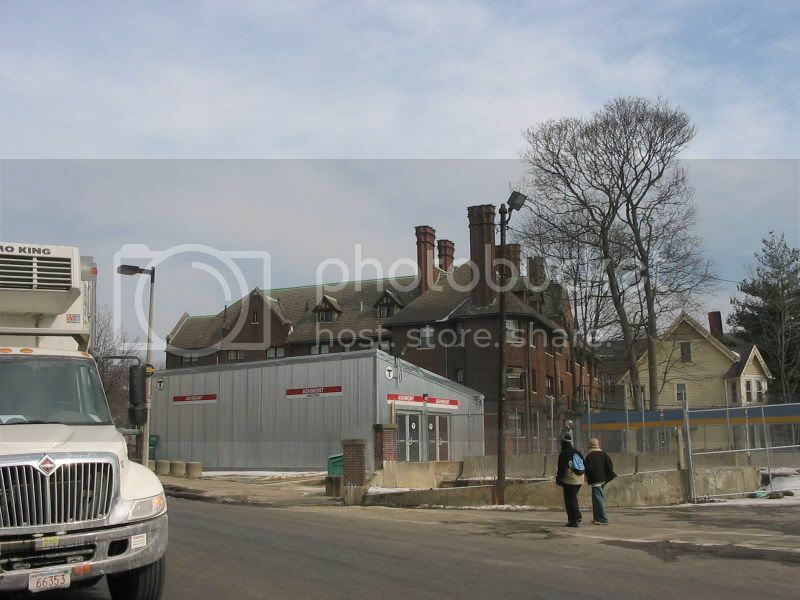 State and MBTA officials will unveil a $7 million upgrade today to the Uphams Corner commuter rail station in Dorchester, the first station renovation completed on a long-sought renovation of the MBTA's Fairmount Line. At 9 miles, it is the T's shortest commuter rail line and runs through neighborhoods where many depend on public transit: Hyde Park, Mattapan, and Dorchester. The $100 million overhaul will add four stations, upgrade tracks and signals, and fix six bridges. It will also result in better service from Readville to South Station. The project is expected to be complete in 2011. "It's coming at the perfect time," said Ed Grimes, executive director of the Uphams Corner Health Center. "It's kind of a rebirth for that whole area." 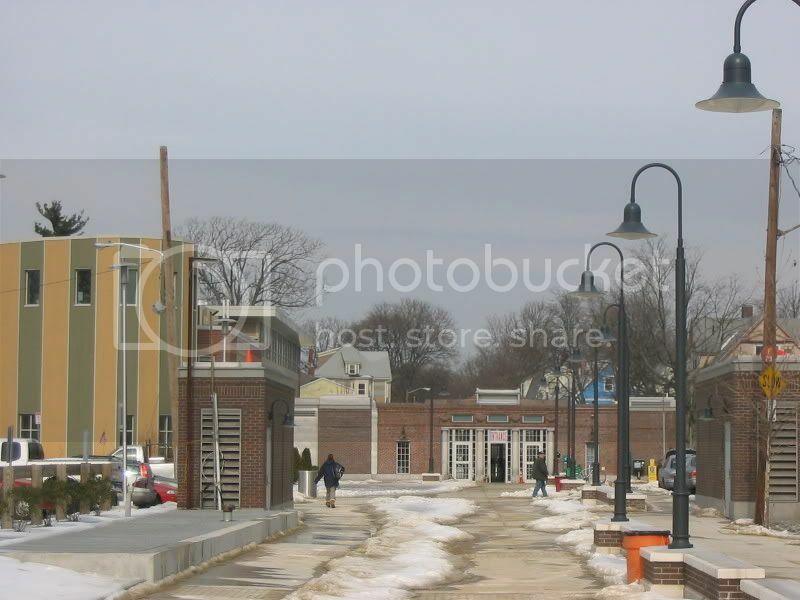 Not long ago, many residents of Uphams Corner didn't know there was a commuter rail station nearby. Hidden behind an abandoned furniture warehouse, the station's rusted shelter, trash can, and worn-out bench were the only signs that the trains stopped. The steps to the station were dark. "People were not very secure in going there and using it," said Grimes. Now, the area is growing. While Grimes said crime remains a concern, the nearby vacant lots are the future home of the Salvation Army's $100 million community center. The renovation also moved the station's stairs to the Dudley Street side, installed more lighting, and made the station fully accessible. Renovations to Morton Street and Fairmount are nearly completed. A coalition of community leaders and development corporations has asked that a total of five new stations be built along the line. So far, the T has only approved four: Newmarket, Four Corners, Talbot Avenue, and Blue Hill Avenue. T officials project that ridership would jump from 2,800 per day now to about 7,300 daily, once the four stations are built, turning an hourlong bus and subway ride from Mattapan to downtown into a 15- to 20-minute train ride. It now takes 11 minutes to go from Uphams Corner to South Station. There are 22 inbound and 21 outbound trips each weekday. This is all BS. The Fairmount line should really be Boston's fifth subway line. The would have no opposition and they already own the right of way! $100 million to increase ridership by 4,500 people per day? ... such a short ride. Why ISN'T this a subway line??? It goes through some of the densest part of the city, AND it goes through some parts that could really benefit from new development. Probably cheaper than the silverline. Historically, it's not a subway line because it carried freight traffic. Later, it was used as a bypass by Amtrak Northeast Corridor and commuter rail trains while the Southwest Corridor was rebuilt, and then again when the Amtrak line was being electrified. ^That's not stopping them now. Some commuter trains from Franklin or Providence still run down this line. The whole idea of this project is to gradually improve it until it has the frequency and station-spacing characteristics of a subway line. So trains will be running every 10 to 15 minutes (off peak)? I believe that's the long-term goal of the community activists who have been pushing the T to do this project. I totally support this, my prior comments notwithstanding. Just about any investment in public transportation is a good thing! 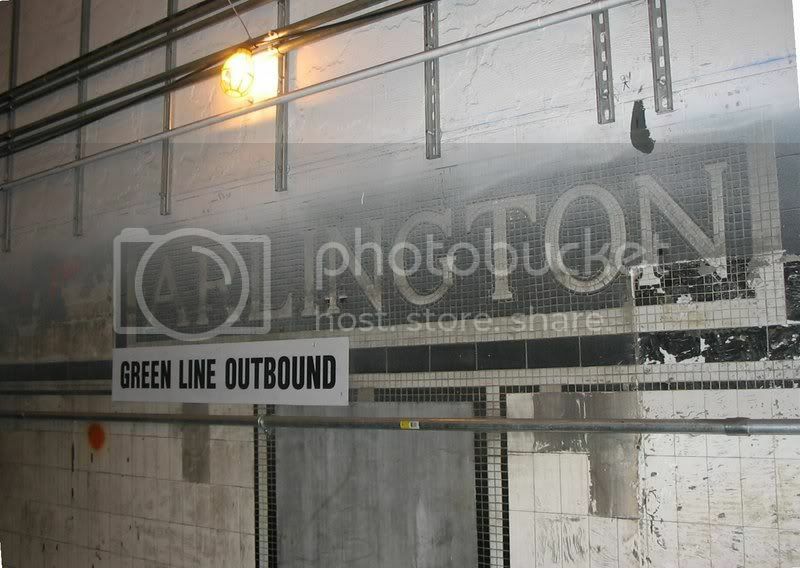 Archaic waterlines and loose soil have slowed the progress of MBTA contractors working on the massive renovation project at Ashmont Station, prompting T officials to push their anticipated re-opening date for the Mattapan High Speed Trolley line from summer to late fall of 2007. ?As with many projects, we encountered some unforeseen conditions,? said Lydia Rivera, a spokeswoman for the MBTA. ?We ran into some waterlines that weren?t charted, had to dig a little deeper to get a footing.? 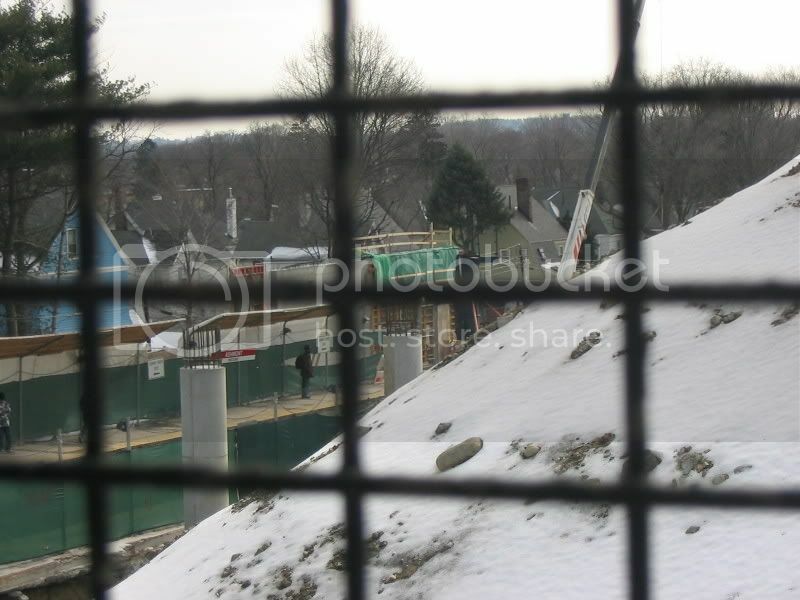 Construction on a new viaduct, the snaking concrete structure that allows trolleys to re-direct at Ashmont and head back toward Mattapan Square, is ongoing. Rivera said that legislative officials and community leaders in Ashmont and Mattapan had been briefed on the unforeseen delay. ?At first it was a little disappointing, but one thing that was good is they came out ahead of it,? said state Rep. Linda Dorcena Forry. The satellite bus service that has been operating since the trolley line closed in 2006 will continue until that service reopens. Am I the only one who feels that there is nothing unforseen about this delay? I was surprised it hadn't been delayed already. I'm surprised because I remember when they remodeled Ashmont station and upgraded the tracks from wood in the 80's it went pretty fast. 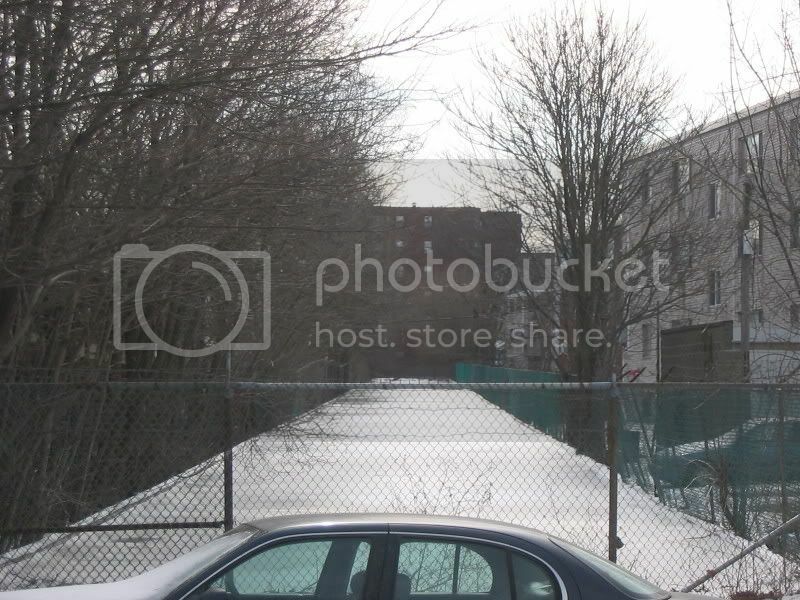 I'm not surprised when you consider the ramp is a remnant from the early 20th Century station and that toward Cedar Grove it has to squeeze between two sets of buildings, bridge walkways and a set of Red Line tracks that lead to the maintenance yard. The Lechmere reopening took about four months longer than expected, so this seems par for the course. The new Charles/MGH station opened today. The brick wings on either side are new and contain the elevators. I think they were originally meant to be stone. 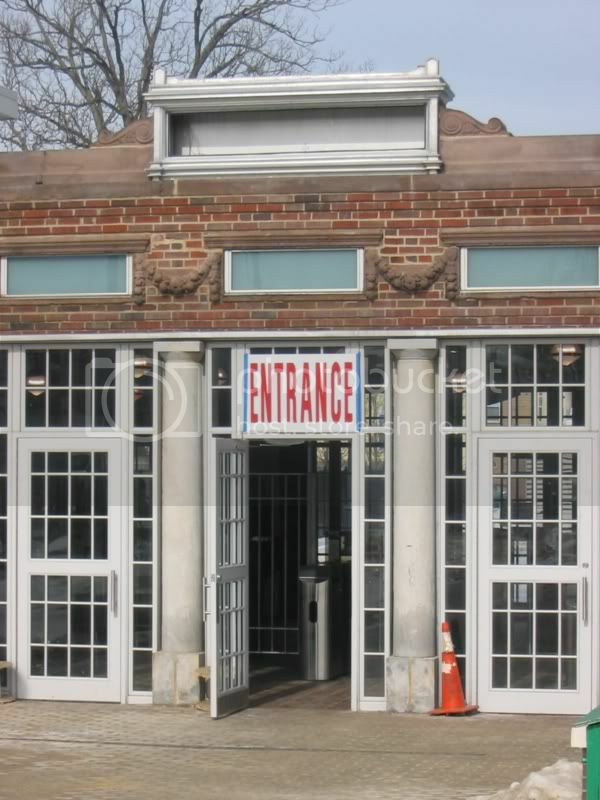 The multi-paned doors are good, they make the whole headhouse look almost like a Georgian garden pavillion. Nothing new on the platforms except for a new coat of paint and the elevators. 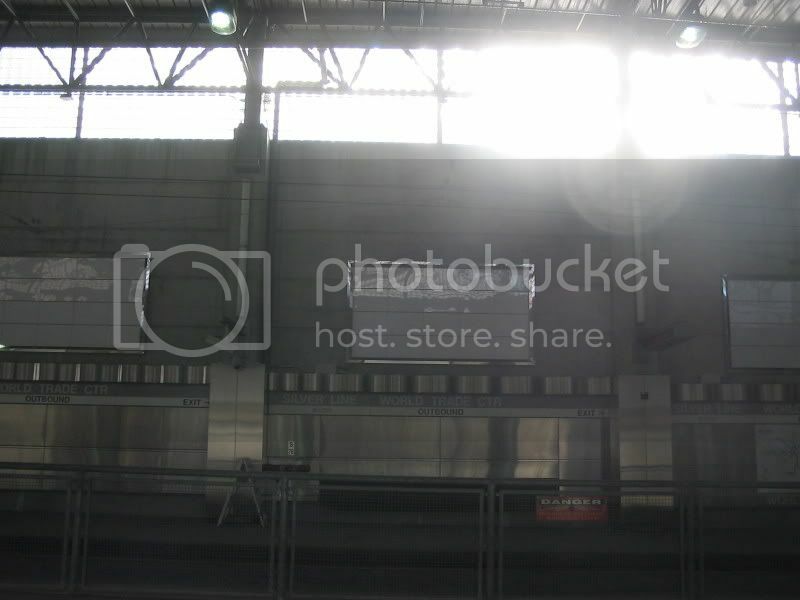 WTC Station is having some kind of wired panels installed. I'd imagine they're for advertising, but it's unclear whether they're electronic screens or just backlit billboards. Courthouse has the same on the concrete pilars. I wonder why the Shawmut one can't be covered with some topsoil and made into a linear park, if not covered with three-deckers. As for Hynes, that would seem like a prime air-rights parcel for the T to sell off, since it wouldn't involve decking over the turnpike. 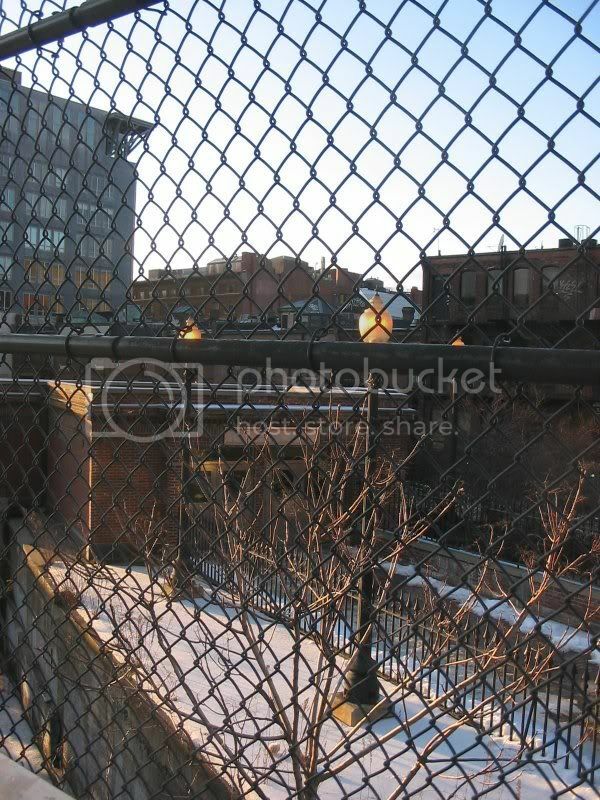 The station would benefit from having a major entrance on Boylston. - Fields Corner renovation is shaping up as the most elegant of the lot, with bold check-mark shaped brackets supporting the glass canopy and irregular metal shades. 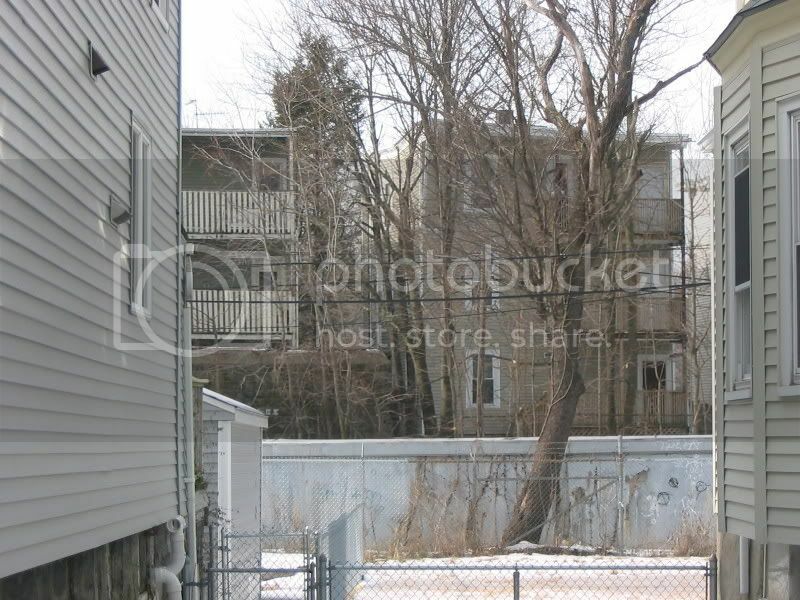 - Savin Hill still had a narrow platform and cheap finishes. It won't be long before it reverts to its old condition. - I saw for the first time the old trolley portals leading to Broadway station, in a set-up much like the bus tunnel at Harvard. They're just off the sidewalk on Foundry St. which runs next to the South Station/Cabot yards, underneath and to the north of W. Broadway bridge. Inside the station you can clearly see the outline of the tunnels. The elevator is inside one of the roof arches, and metal doors near oposite fare gates block off the view toward the portal. Does anybody know where the other set of portals was?